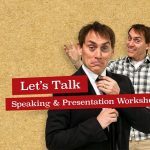 Jason Gunn’s Let’s Talk speaking and presentation workshops launch in 2019 and Jase would love to work with you. We’ve all been asked to just…say a few words. And for so many of us the thought of it is truly terrifying. Well good news…I’m here to help. Over the last 38 years, as a broadcaster, host and entertainer I’ve worked with some extraordinary people who have taught me so much – and now I want to teach you. 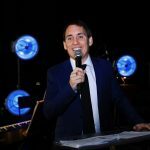 I want to share with you how to really connect with your audience so you can be at your best up there. Loving it. Not loathing it. We’ll cover everything from working out what you want to say…to saying it how you want to say it. You’ll learn how to control those nerves and stop them from controlling you. I’ll work with you to bring out your individual strengths and have you ‘just saying a few words’ like nobody else. And just as importantly we will have a lot of fun along the way. Previous PostWant to see how your school's spending compares to other schools? ? ? ?